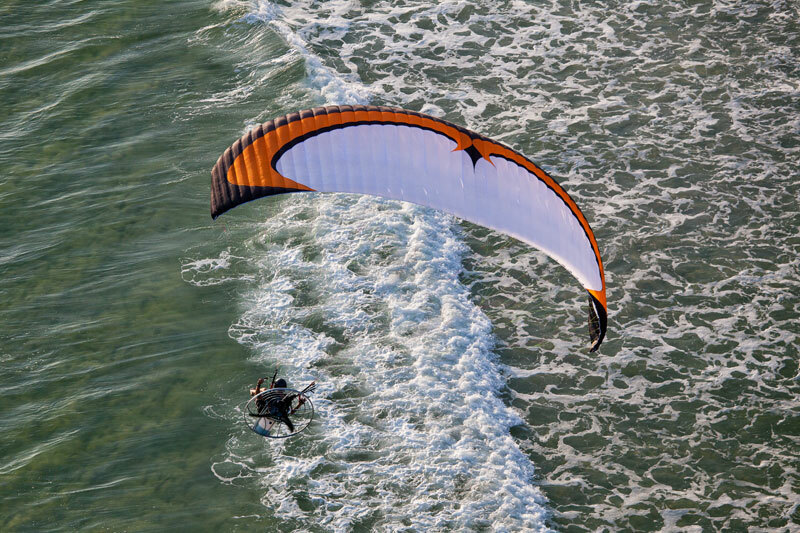 At Flyhigh Sky Sports we have great releationships with the leading manufactures of Paramotoring, Paragliding and Parasail equipment and can supply your almost every need. Please feel free to call Jon on 07879 693117 to discuss your requirements and for general advice. Below we have some of our most popular items required. The next generation of beginner Reflex wing that feels like an intermediate but with EN B certification! Excellent handling, smooth and yet reactive over a forgiving range of brake travel. Super slow speed flight capability for easy, short landings and thermal flight. Legendary 'unmatched' pitch positive Reflex wing stability on fast trim. New trimmer locking system, with adjustable sliding brake keepers and handle size. New trimmer & speed bar system with 70% of movement on the trimmers and only 30% on the bar. Ball bearing pulleys give improved smoother bar operation. 3.25 times speed range performance (20-65kph variable with wing loading). The highest quality from the Paramania design / Gin manufacturing.